Breakfast food is my favorite, so I eat it at anytime of day. When the only mouth to feed is my own, I put aside any elaborate meal plans and just go for simple, quick recipes that leave minimal dishes to clean. 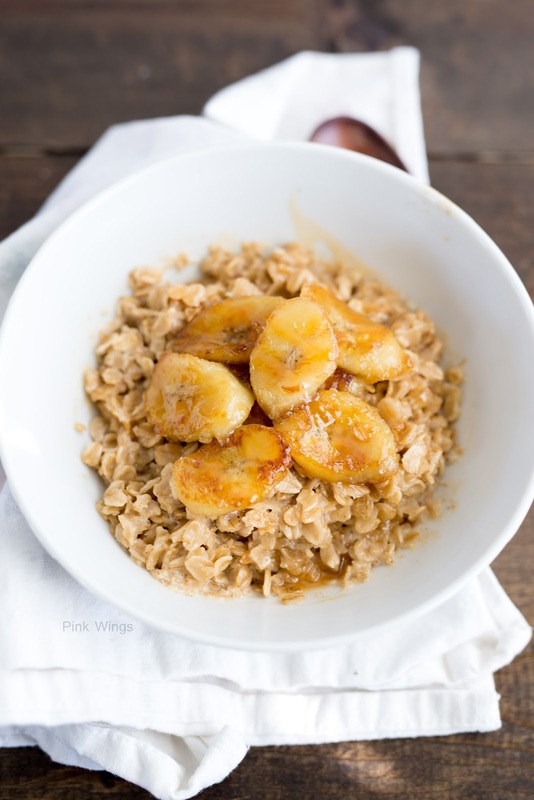 This oatmeal topped with a sprinkling of caramelized almond bits and a side of Greek yogurt was perfect. And today is the last day to enter the giveaway. Heat the butter in a pan over medium. 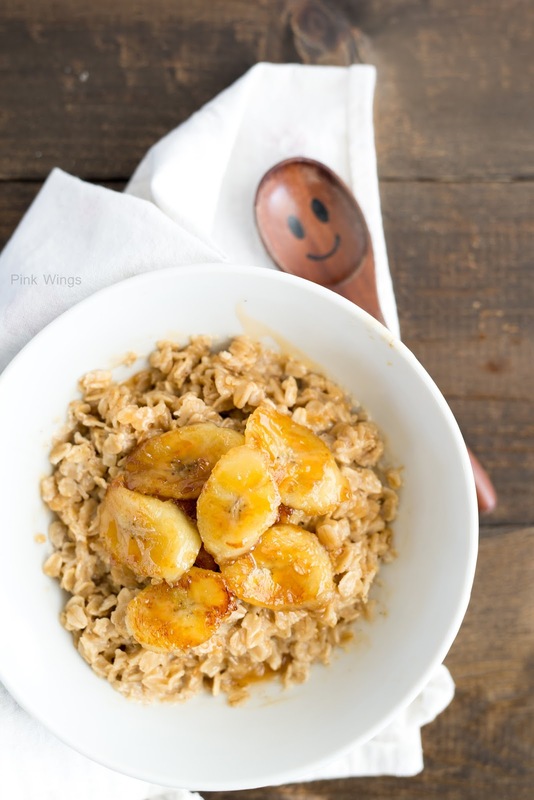 Once melted, add 1Tbsp brown sugar and banana slices. Cook for about 3 minutes on each side until caramelized. Remove pan from heat and set aside while making the oatmeal. In a small saucepan, combine milk, cinnamon, nutmeg, salt and remaining 1 Tbsp brown sugar. Bring to a soft boil, then add oats. Bring back to a boil, then reduce heat to med-low. Cook for about 5 minutes, stirring occasionally, until the oats have soaked up almost all of the liquid. 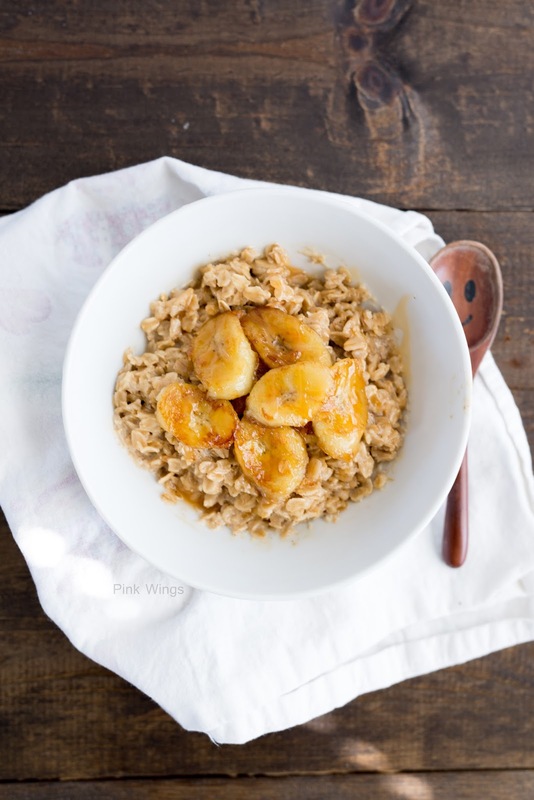 Scoop oatmeal into 2 bowls and top with the bananas. Sprinkle with chopped nuts and enjoy.